The Centralia College Foundation has announced Steve Henson is the winner of the 2015 Dave Sherwood Memorial Elk Hunt Raffle. Henson, who lives in Chehalis, is a retired employee of the TransAlta Centralia Generation plant. He won the opportunity to hunt on TransAlta land for a single bull elk, three-point minimum, during the upcoming modern rifle hunting season. 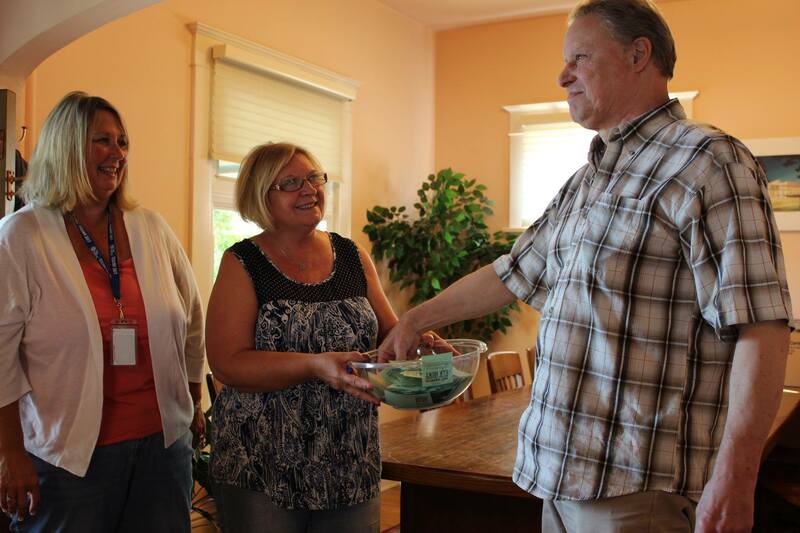 Henson’s winning ticket was drawn Aug. 3 at the Centralia College Foundation office. A total of 354 tickets were sold garnering $8,850. The proceeds will be split between a 2015-16 scholarship and the Dave Sherwood Endowment. Rob Sherwood, Dave’s brother, was present at the drawing. “I am grateful so many students will benefit from the proceeds in Dave’s memory,” he said. The Dave Sherwood Memorial Elk Hunt Raffle began five years ago shortly after TransAlta employee Dave Sherwood died while hunting elk in east Lewis County. For more information on the Centralia College Foundation, visit foundation.centralia.edu or call 360-736-9391, ext. 290.